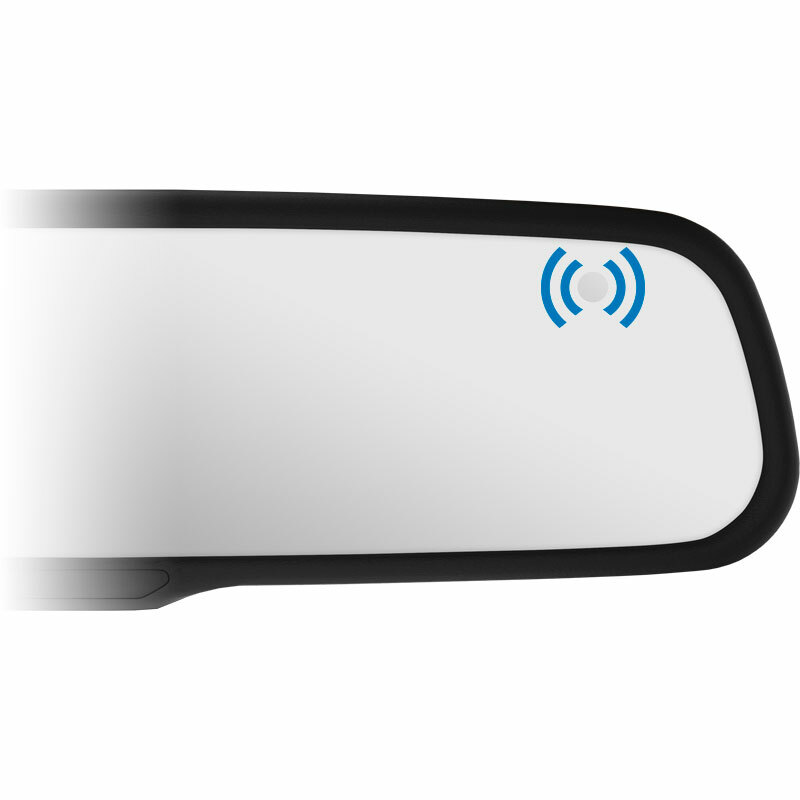 Rearview mirror replacement w/ auto-dimming LCD.  Includes dual-video inputs for connecting to a rear or front camera. 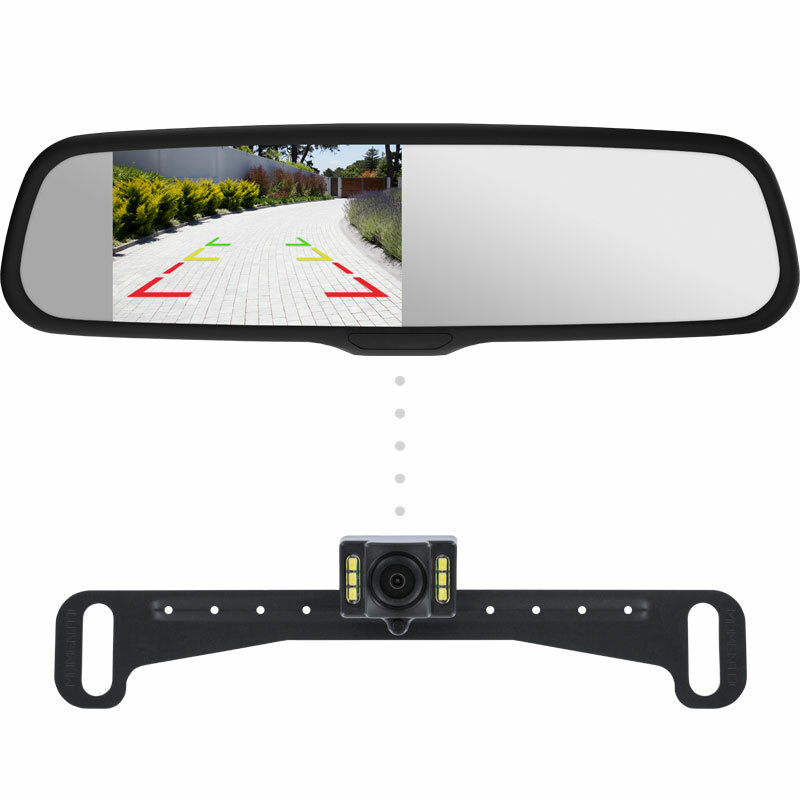 Add a Backup Camera to Any Vehicle. 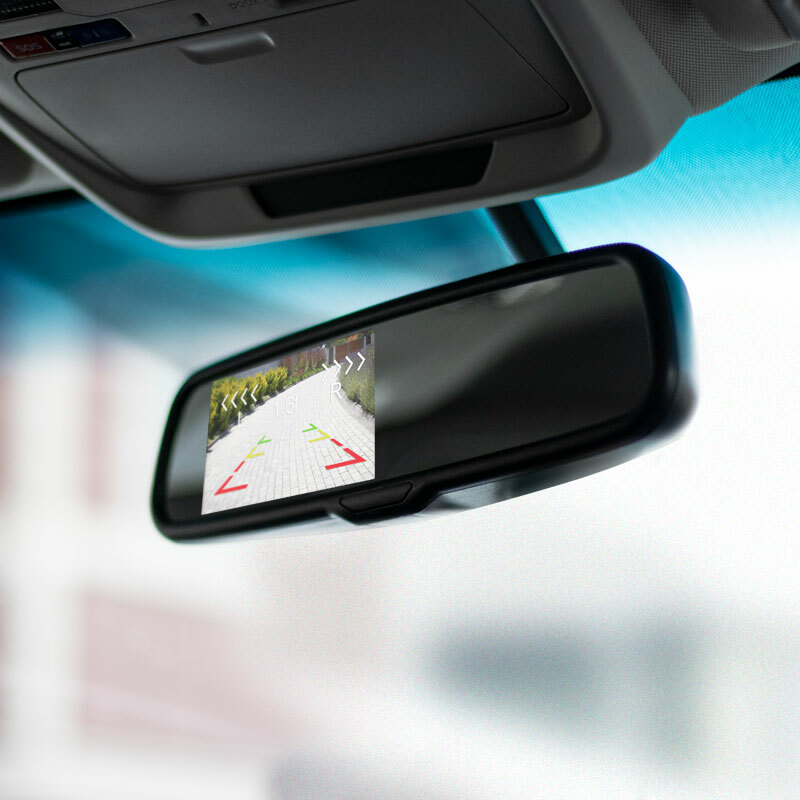 The R1 mirror is a backup camera monitor which is compatible with most vehicles – making your car, truck, or SUV safer without having to purchase a new ride. The R1 works as seamlessly as back-up cameras built into newer vehicles.  But instead of a separate screen, the R1 has a built-in LCD screen connected to the cameras installed at the front and rear of your vehicle. 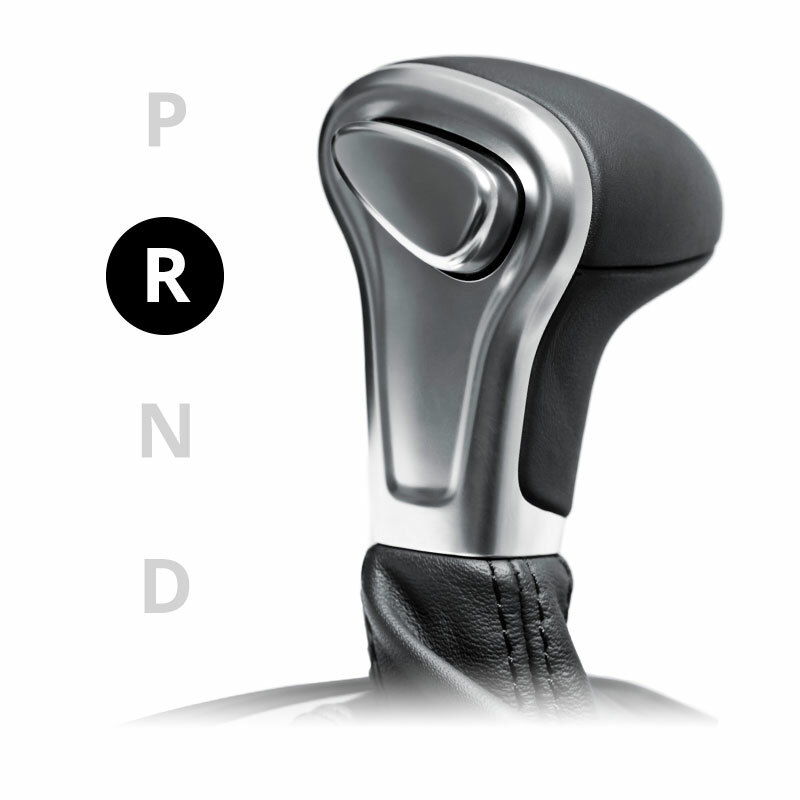 The screen automatically senses when you shift into reverse gear, remaining off otherwise. When you shift into reverse gear, the R1’s screen comes to life, showing you what is happening at the front and rear of your vehicle. 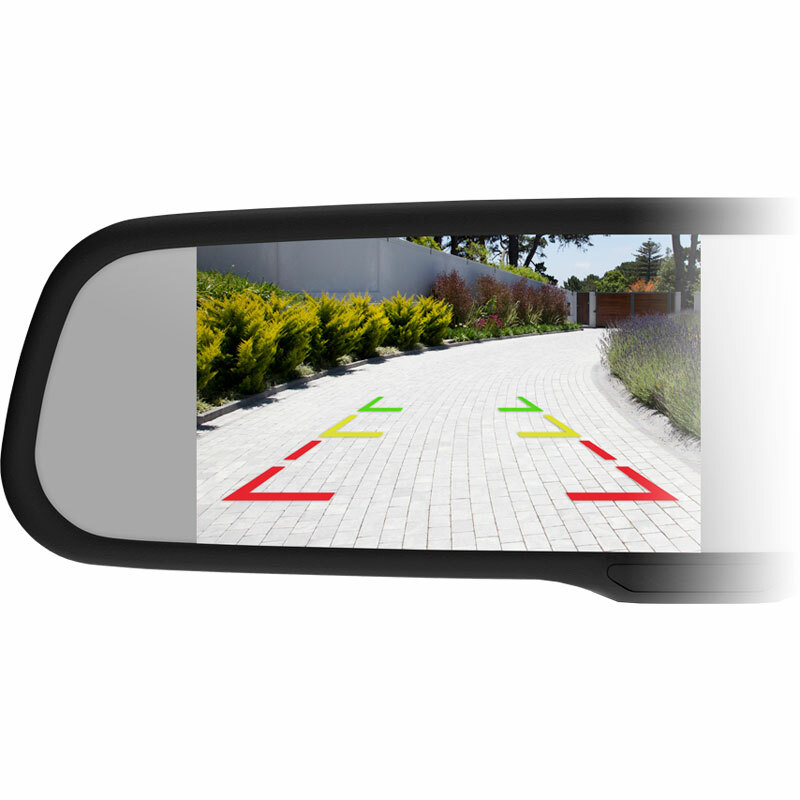 The R1’s parking lines also provide guidance when approaching a nearby object. R1’s hidden environment sensor automatically adjusts the brightness of the LCD depending on the lighting. When an R1 connects to a C3 camera, the LEDs on the camera will also adapt to external lighting. The R1’s “auto-switching” inputs automatically display the rear camera on the LCD when in reverse gear, and the front camera if in drive gear. Manual activation is accessible by pressing “M” on your device. The R1 requires at least one Momento C-Series camera. All Momento cameras are IP68 water-resistant and feature a variety of mounting styles. Check out our most popular option: the C3 LP-mount camera.